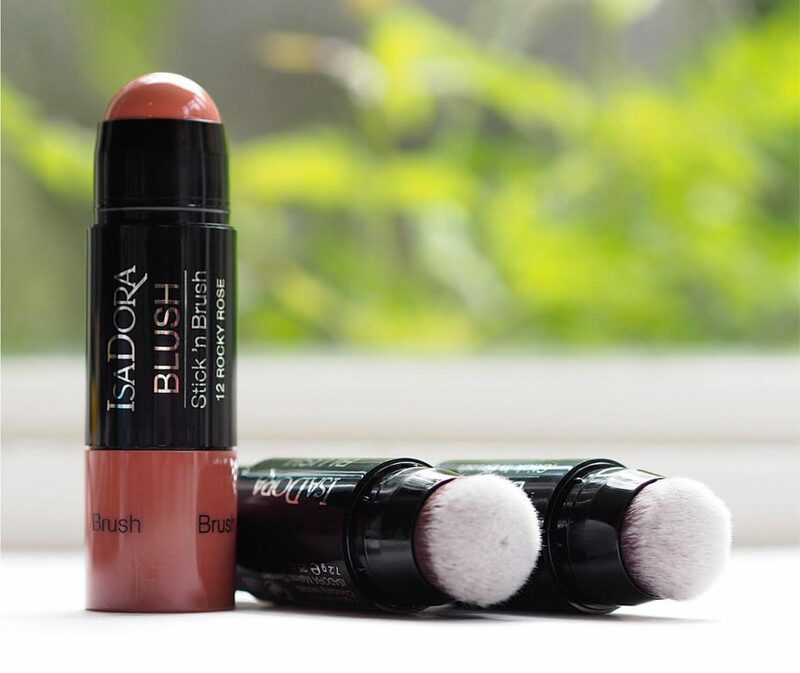 Such a great idea from Isadora – a creamy stick blush with an integral brush at the bottom. It just makes such a difference not to have to use your fingers to blend or carry a separate brush so it’s a perfect home-to-work make up bag product. These are great shades, too – all new – very easy wears. The texture is creamy without being oily and gives a semi-matte finish once you’ve blended. From bottom to top in the swatch: Pink Poetry, Boho Blush and Rocky Rose. 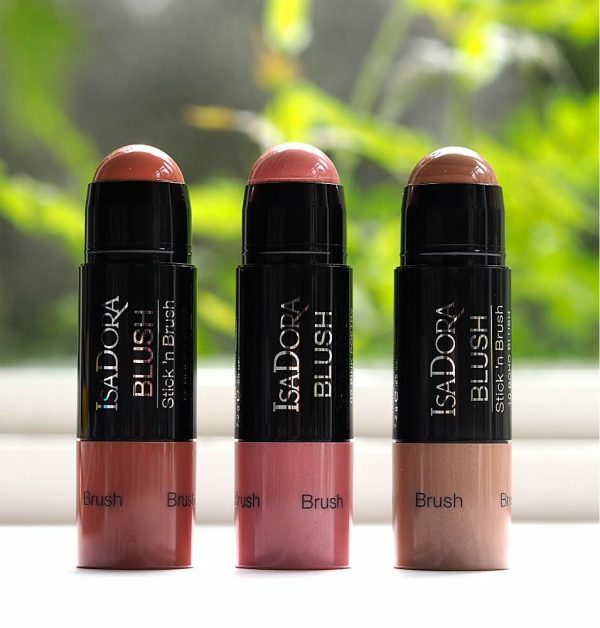 I like that Isadora often put a few anti-oxidant vitamins into their make up products – an every-little-helps touch. FeelUnique is the stockist for Isadora in the UK but they never seem to have the full range. 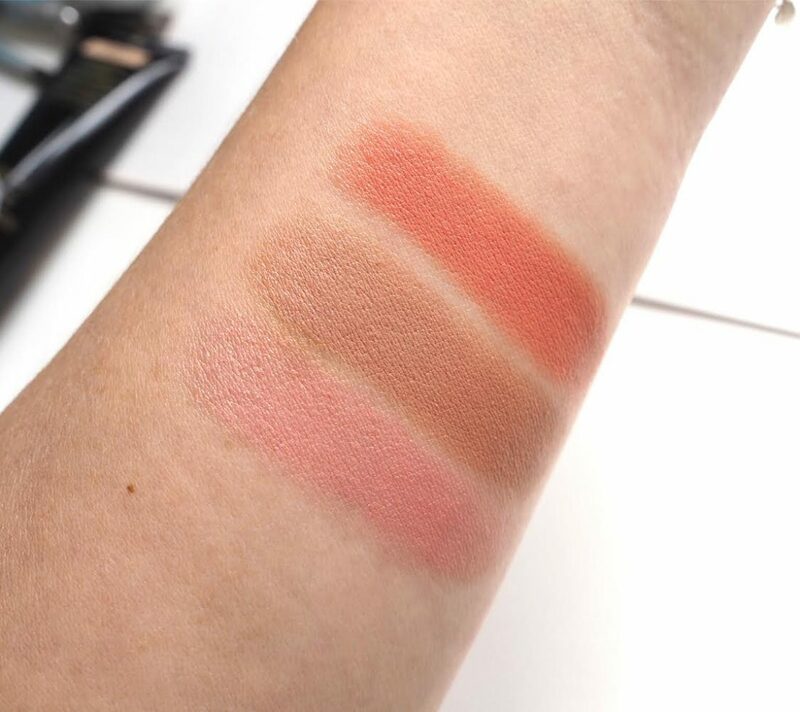 These blush sticks launch today but often take a while to emerge on FU. I don’t have a UK price but I’m guessing these will be around the £15 mark.